Out of stock since Monday, 5 November 2018. Due back soon. 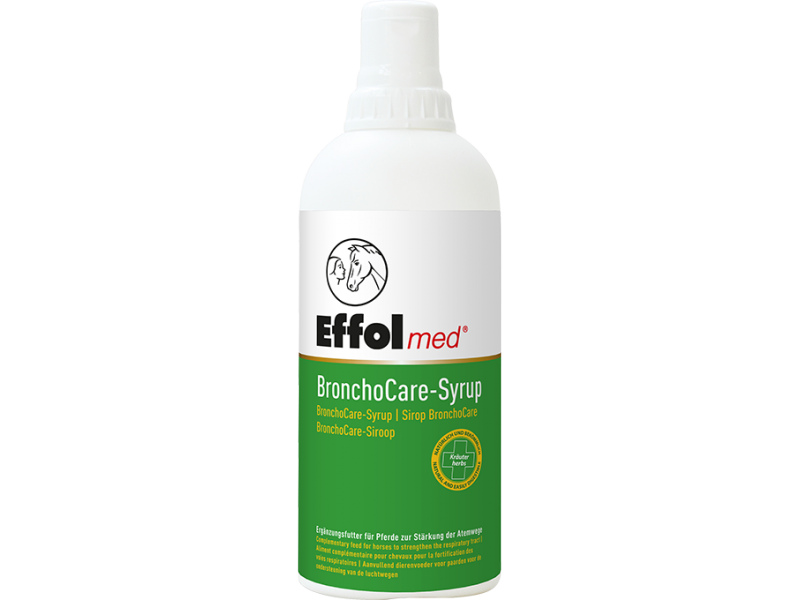 BronchoCare-Syrup complementary feed is a natural and nourishing herbal composition to support and maintain a healthy respiratory system.This specially formulated syrup supports the body's own defence system and helps to soothe an irritated respiratory tract. The BronchoCare-Syrup can be administered practically with fodder, because it will stick to it. The innovative bottle top means the syrup can be dosed automatically by turning the bottle upside down. Natural herbs such as rosemary, thyme and eucalyptus. Please consider the 48-hour waiting period (in accordance with the German Equestrian Federation's anti-doping and medicine control regulations "Deutsche Reiterliche Vereinigung - FN-ADMR"). For minimum 5 days: sprinkle 2x 20ml over the feed. (Maximum 100ml per day.) Make sure the bottle is well closed after use. Store dry and cool and keep away from children. 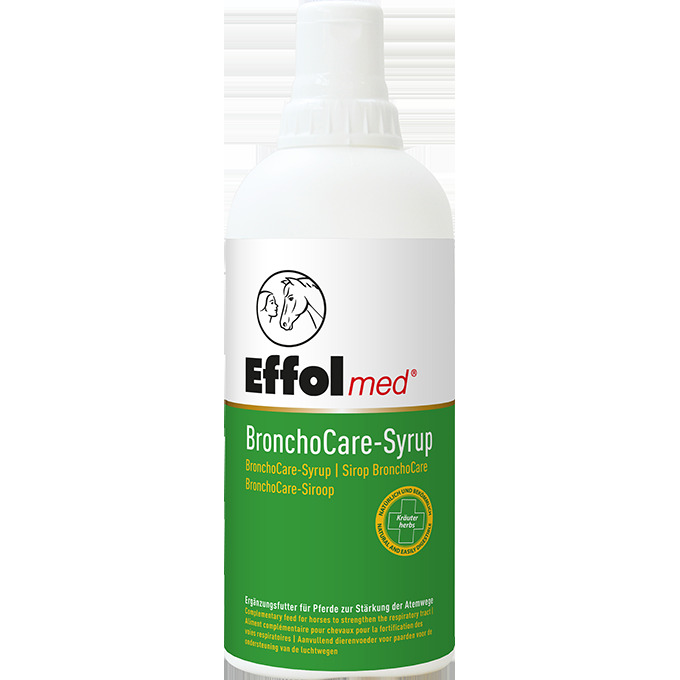 There are currently no questions for Effol Med BronchoCare Syrup - be the first to ask one!